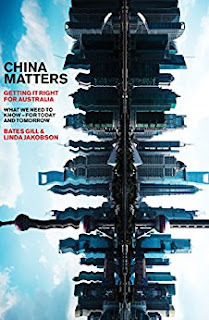 Bates Gill and Linda Jakobson are the authors of the new book China Matters: Getting It Right for Australia. 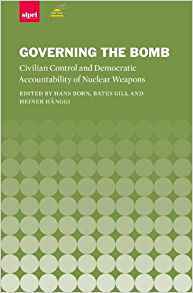 Gill's other books include Governing the Bomb. Jakobson's other books include A Million Truths: Ten Years in China. They are both based in Australia. Q: For people who may not be that familiar with the relationship between China and Australia, what are some of the most important dynamics between the two? Bates Gill: The one point which is often made is that about one-third of Australian exports by value go to China. That leads to the important point that Australia depends heavily for its economic prosperity on its relationship with China. That is true, but that point too often obscures other important developments in Australia-China relations. For example, in unprecedented ways, Australia is becoming a more "Chinese" place. Mandarin is the second-most widely spoken language by residents and citizens in Australia. China is now the largest source of tourists and tourist spending for Australia. Chinese international students--around 150,000 of them--represent some 30 percent of all international students in Australia. Another important point about Australia-China relations has to do with the United States. It is common in Australia to hear debates about whether Australia needs to choose between its most important trading partner, China, and its most important security partner, the United States. While our book is principally about the evolving dynamic of Australia-China ties, we acknowledge that they can be affected by the United States and that the advent of the Trump administration adds new uncertainties to U.S.-China relations and hence to how Australia, an American treaty ally, needs to consider relations with China. Our bottom line on this point is that Australians need to move away from the "either/or" understanding of relations with China and the United States, and recognize that these two countries are both important economic and security partners. Linda Jakobson: I want to emphasize the importance of Chinese international students for the funding of research and the Australian higher education system more generally. I see this as a vulnerability from Australia's viewpoint. If for some reason Chinese international students spread the word via social media that Australia is not the place to pursue study abroad or a college degree; or if the Chinese government decided that study in Australia should be discouraged, it would deal a substantial blow to the finances of many top Australian universities. Q: Why did the two of you decide to write this book, and can you describe your collaborative writing process? 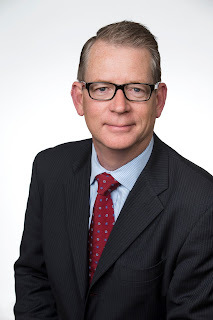 Bates Gill: As two China watchers arriving on Australian shores several years ago, we were immediately struck by how little in-depth understanding there was about China in this country. This seemed odd to us given how important China is to Australia and how much more important it will be in the future. There are many reasons for this--geographical, historical, cultural. It is also true that with the economic relationship flourishing over the past 20-plus years, there was little incentive in Australia to think deeply about the relationship with China--all was going very, very well, so why think differently? We saw things a little differently, perhaps because we have not lived in Australia all of our lives. We feel the relationship is changing in important ways, that China's influence in Australia is growing in myriad ways, not only economically, and that Australians should be better prepared for that future. In writing the book, we worked very closely together, with the aim of trying to speak with one voice. Not only did we intensively share and edit drafts of chapters with one another, for the introductory and concluding chapters, we sat next to one another for many days jointly writing them sentence-by-sentence. We felt strongly that the book should be truly a joint partnership, truly co-authored. It worked very well and, as we note in our acknowledgements, it was a like a taking a journey together. Linda Jakobson: We were also struck by the deep gulf between the Government's perceptions in dealing with China and those of the business community. The gulf exists in all countries; after all business interests are different from the government's interest. But the gulf is quite stark in Australia. We hoped via the book – also via the Australian public policy initiative “China Matters,” which the book gave way to and which I currently head – to deepen the debate about China in Australia and also involve business more closely in the policy discussions, not only about business ties with China but the relationship more broadly. Q: What do you see looking ahead given the arrival of the Trump administration? Linda Jakobson: The region is certainly evolving even more rapidly because of Trump's ascent to power. There is much more uncertainty across the region about the role of the United States in the Indo-Pacific and how China's role will change accordingly. In Australia, specifically, I predict that politicians will struggle to support some of Trump's policies because of the gulf between some of Trump's values and values that Australians hold dear, for example the freedom of the press and multi-culturalism. Trump's decision to withdraw the United States from the Trans-Pacific Partnership (TPP) was a genuine blow to Australia because Australia thrives thanks to free trade. Certainly the unpredictability of the Trump administration's Asia policy has led to a renewed discussion in Australia about the pros and cons of the U.S. alliance. While the majority of Australians still support he U.S. alliance, a growing number of Australians see a need to re-appraise the nature of the alliance and even see value in distancing Australia from the United States. In our book we quote Richard Woolcott. who already decades ago reminded Australians of the value of an independent foreign policy within the Alliance. Bates Gill: Most of all, we hope that readers will gain a far more nuanced understanding of China and its importance to Australia. Importantly, we hope they will come away better informed about Chinese society, politics, economics and how China seeks to project its influence in the region and the world today. If Australians can begin to have even half as much understanding about China as they have about traditional partners such as the United Kingdom and the United States, that would go a long way to helping ensure Australia can effectively pursue its interests in relation to China in the decades ahead. 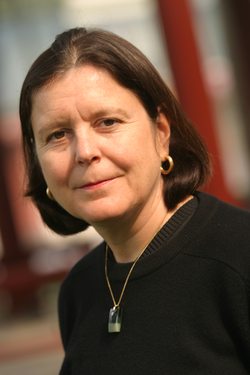 Linda Jakobson: Above all, I hope the reader will come away more aware of the complexities of China's political and socio-economic developments as well as the many challenges that exists in Australia's ties with China. We both would like to pick up some of the recommendations we made in the book and see if we can help drive them forward over the next two or three years. Bates also has plans to establish a program of education, exchanges, and research on Chinese foreign and security policy at Australian National University. 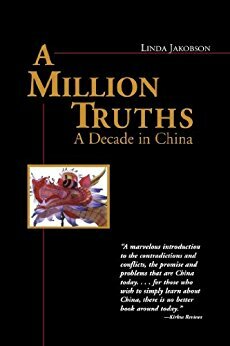 If all goes to plan, his next book will focus on what has happened to about 20 Chinese students he taught for a year in in Dalian in the mid-1980s--their subsequent lives, ambitions, and achievements over the past 30 years in China--to tell the story of the country's remarkable transformation. Linda is the CEO and founding director of China Matters, an Australian public policy initiative that strives to bring nuance to policy discussions about the tough, sticky issues in Australia's dealings with China. The other key goals of China Matters are to advance sound China policy and enable the participation of business executives in policy deliberations. There is much work ahead. At some point, Linda hopes to spend a semester or two in Jinan, the city to which she moved in 1987, to conduct research about the lives of the people that made the 20 years she lived n China so memorable. She hopes that these life stories will be a basis of a new China book.